Powys council is talking to the police about the potential manipulation of performance data in its children's services, chief executive Jeremy Patterson has said. 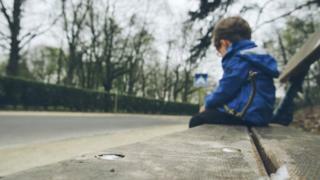 It comes after a watchdog warned that Powys children are at risk of harm because of social services failures. The Care and Social Services Inspectorate Wales (CSSIW) raised "serious concerns". Powys has 90 days to improve, or face being taken over by ministers. The council has apologised and accepted CSSIW's recommendations. Mr Patterson said he had called his own review when problems were discovered. He said that "in the last few weeks it appears that information in respect of some of the issues in the service was being withheld and that some of the performance data may have been manipulated". "We are taking forward a formal investigation in consultation with the police," he said. He said the council had acted "immediately" on the CSSIW's review and extra staff had been brought in. The inspectorate's report said there was evidence of missed opportunities to safeguard children. It said: "The lack of assessment, intervention and support, together with poor follow up and oversight has and is placing children at considerable risk." The inspectorate found an "inconsistent approach" towards following child sexual exploitation guidance and risk assessments which "placed children at risk of harm". "Risks were not being appropriately and robustly assessed and there is no effective system to identify and manage risks," the report added. Chief Inspector Gillian Baranski said: "It is clear from this report that we have serious concerns about the way children's services are run by Powys County Council. "Whilst we have recognised the significant contribution staff have made under very difficult circumstances, we have serious concerns about leadership and management arrangements. "We have made this clear to Powys County Council and expect to see rapid improvement to ensure that children are safeguarded and families in Powys receive the level of service they deserve. "We are monitoring this closely." During First Minister's Questions, Carwyn Jones told AMs it was open to ministers to "take over the authority's social services functions". "That of course is an option if the authority fails to deliver under the terms of the warning notice." Earlier, Social Services Minister Rebecca Evans said she had met the council's leader and chief executive to "emphasise the seriousness with which the Welsh Government is approaching this situation". She said: "If I am not satisfied with Powys County Council's progress... I will not hesitate to use the powers provided to Welsh Government under the Social Services and Wellbeing Act to intervene more directly." Responding to the report, Rosemarie Harris, leader of the independent-Conservative council, said: "We fully accept the regulators' recommendations - their report is both hard hitting and challenging. "We are sorry that we failed to meet the high standards residents deserve and apologise for our shortcomings. "The council is totally committed to safeguarding children in our county, and I will be leading the council's response to the recommendations of the inspection from the front as a top priority and that ensuring that the resources are in place to underpin this work." The report's findings will be discussed by the full council on Thursday. The Welsh Conservatives said the council needed to work to avoid direct intervention by the Welsh Government "at all costs. The party said there were questions over whether chances had been missed in the past to make improvements. Plaid Cymru AM Simon Thomas said: "The priority must be the protection of children in Powys and the lack of leadership at the top of the council can only be addressed by a team from outside the authority to get the improvements needed." Children's Commissioner Sally Holland told BBC Radio Wales she was "pleased to see strong action was being taken" over the report.